Egypt has executed nine suspected Muslim Brotherhood members convicted of involvement in the 2015 assassination of the country's top prosecutor, security officials said. 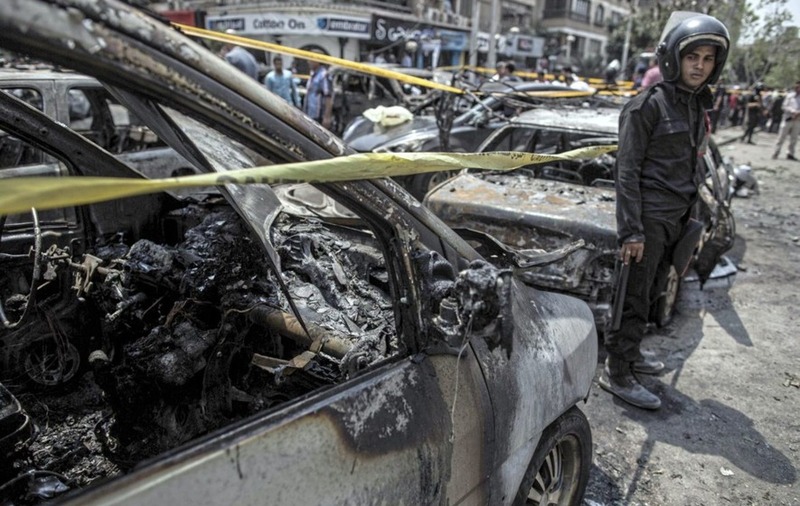 The nine were found guilty of taking part in the bombing that killed Hisham Barakat, the first assassination of a senior official in Egypt in a quarter of a century. Mr Barakat was also the most senior official killed since the military overthrew an elected but divisive Islamist president in 2013. A total of 15 people have been executed in Egypt since the start of the year. Amnesty International had called on Egypt to halt the executions, saying that some defendants said they were forcibly disappeared and confessed under torture. "There is no doubt that those involved in deadly attacks must be prosecuted and held accountable for their actions, but executing prisoners or convicting people based on confessions extracted through torture is not justice,"Amnesty's Najia Bounaim said. Egypt's highest appeals court upheld the death sentences in November. It commuted six other death sentences to life in prison. Death sentences were also handed down in July 2017 to 13 defendants tried in absentia. They will be eligible for a new trial if they surrender or are captured. Turkey deported one of the 13 last month. Mohammed Abdel-Hafiz is likely to face a new trial over the same accusations. The Muslim Brotherhood was Egypt's best-organised opposition movement for decades and won a series of elections after a pro-democracy uprising in 2011 ended president Hosni Mubarak's nearly three-decade rule. But president Mohammed Morsi, a senior Brotherhood figure elected in 2012, proved divisive and the military removed him from power amid mass protests against his rule a year later. Since then, authorities have outlawed the Brotherhood and branded it a terror group as part of a wider crackdown on dissent. Islamic militants have also stepped up attacks since Mr Morsi's 2013 overthrow, mainly targeting security forces and the country's Christian minority.